As the name implies, the Procedural Level Editor is a tool and library combination that generates a multi-room level for various games. 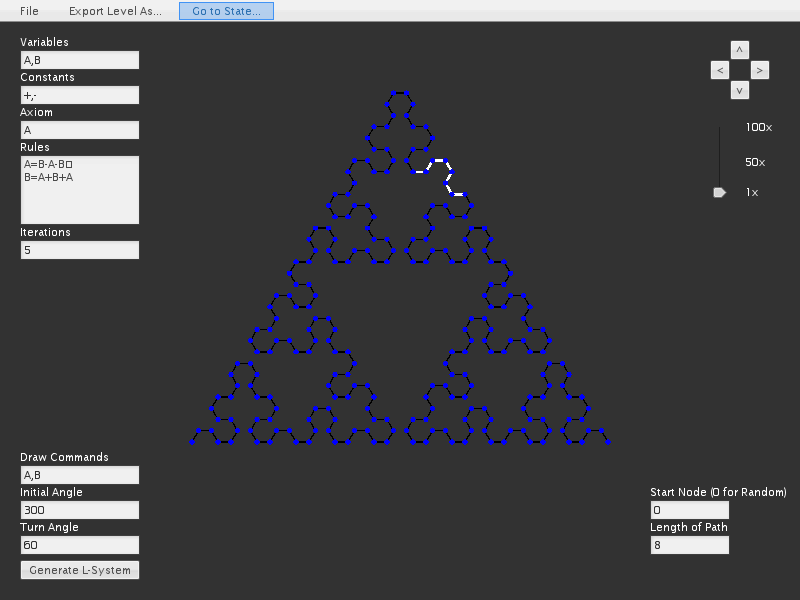 The Level Editor itself is used to experiment and modify the parameters of the level generator, these parameters are saved to a properties file which is then loaded into a class that uses it to generate levels into data that can be used in a game. The library itself is written in C++, using standard library and template functionality, although it uses RapidJSON to handle loading and parsing the property file. 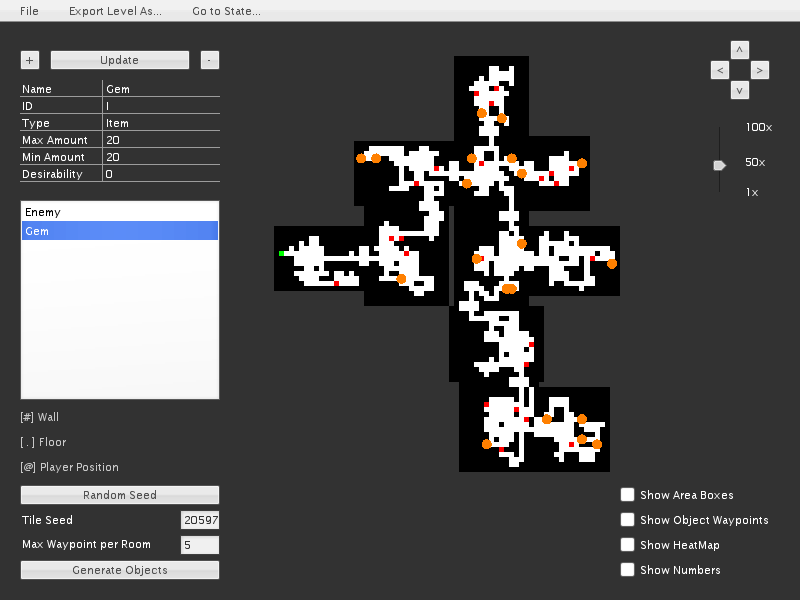 The Level Editor uses Allegro 5 along with GWEN for rendering the preview level and the user interface respectively. 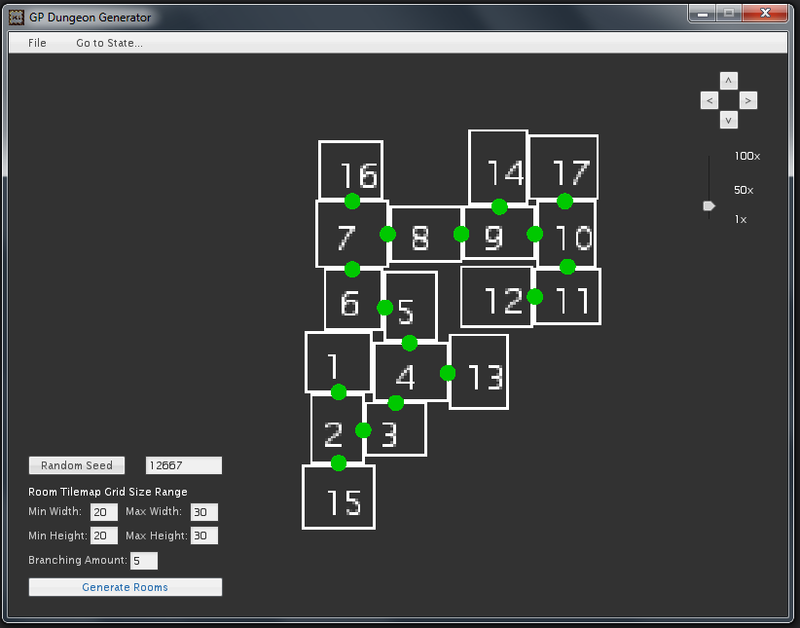 Like the generator, RapidJSON is also used for Loading, Saving and parsing property files. 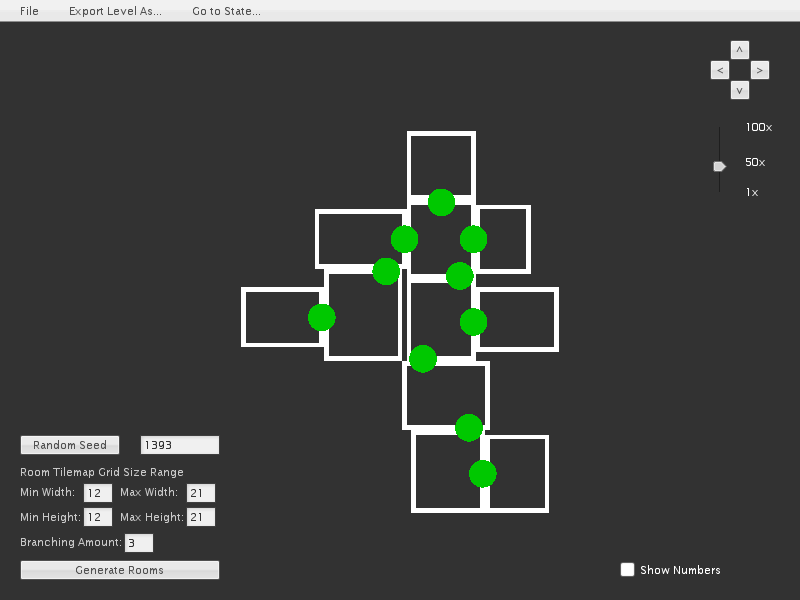 The Procedural Level Editor was submitted in part of the Final Year Project dissertation titled “Procedural Content Generation for Creating Levels in Games”, and was later shown at Staffordshire University GradEx 2015. 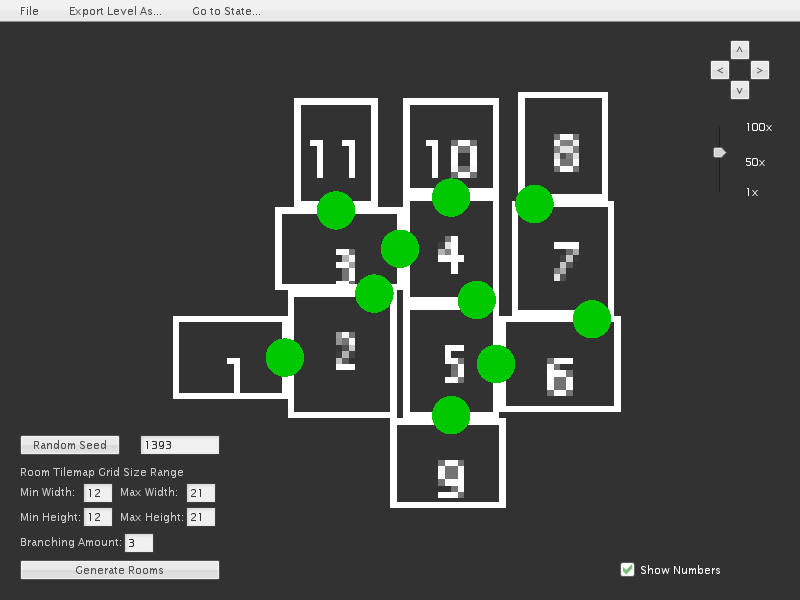 A prototype game was also developed for the dissertation to demonstrate the capabilities of the level generator, this game is currently being reworked into Gemstone Keeper, both the Level Editor and Gemstone Keeper were shown at the Indie Roguelike Developer Conference 2015.